At Nectarine Print we provide a wide range of printing products for the Hotel, Restaurant & Bar Sectors. From Luggage Tags to Door Hangers to Beer Mats we have it all covered. Business cards are essential for making a great first impression. Our range of premium business card printing contains a variety of materials and creative finishes, so you can create an unique business card. Business Stationery is an essential tool for most businesses in Bolton, showcase your business with high quality branded stationery. 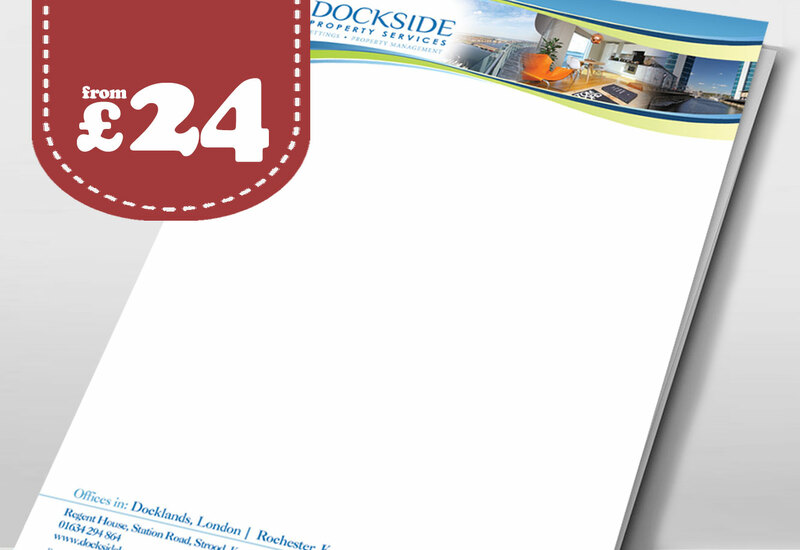 Choose from single or double sided letterhead print to reinforce your brand's identity. Just like flyers, leaflets are a popular choice among businesses in Bolton when it comes to promoting products and services. Choose from single leaf or folded leaflets with various panels from A7 to A3 sizes. 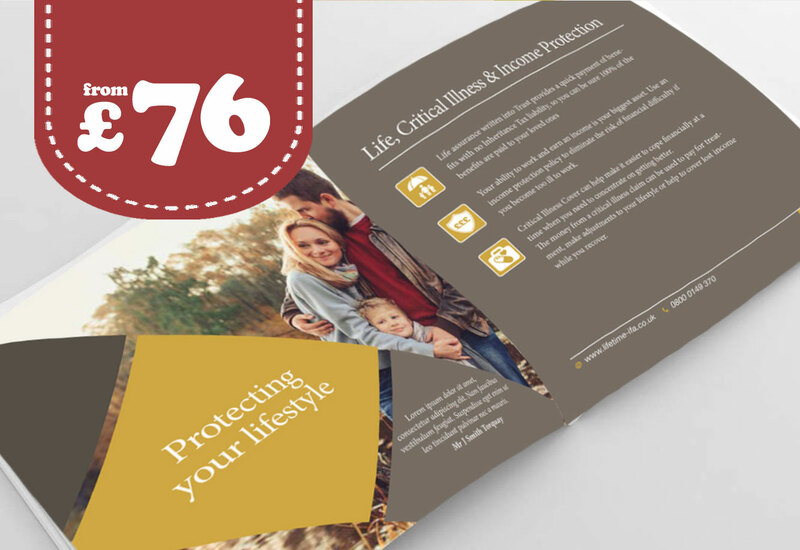 Folded leaflets are a great choice for conveying a lot of information in an easily accessible format and is a popular choice for businesses in Bolton. Our folded leaflet range include simple central folds as well as more complex and creative folds in stunning full colour. Get your customers chatting in Bolton and showcase your services and products with professional brochure printing. You'll want your booklets to work hard for you, so you need all the right content and striking designs printed on the highest quality paper. Create big impact unmissable advertising with Nectarine Print's poster range. 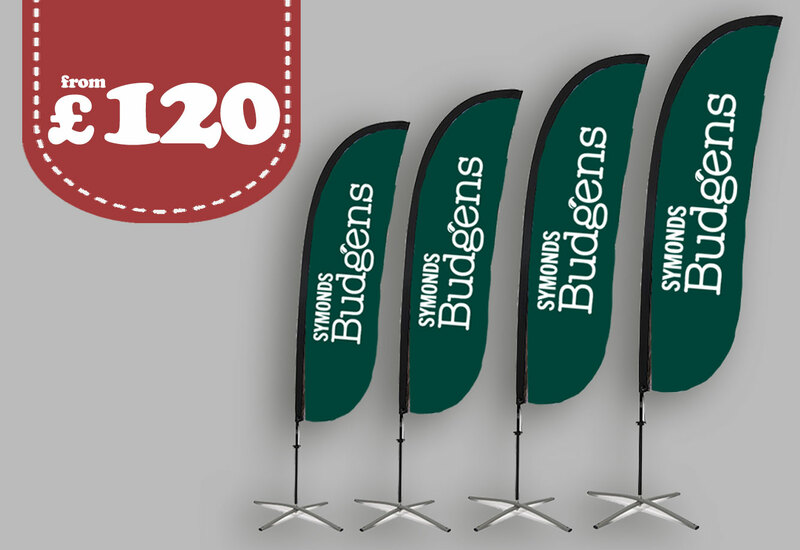 Promote your products or services with this indispensable marketing tool in Bolton from A4 to A0 sizes. Choose from either 135gsm - 210gsm gloss art paper. Suitanble for both indoor and outdoor use. Flyers are a popular choice among businesses in Bolton when it comes to promoting your services or products at a low-cost. Choose from our large high-quality range of paper stocks, sizes and finishes for your ideal promotional tool. Stand out for the right reasons with our premium quality Banners ans Signs, at a great value price. Banners and Signs are built to last with full colour and high resolution printing. Plus they are perfect for indoor or outdoor use, thanks to their water- and weather-resistant properties. Personalised NCR pads, printed with your logo in colour. A perfect solution for duplicating documentation such a service contracts, invoices and receipts. Bundled as booklets or pads or single sheets and sequentially numbered, NCR pads are just as popular as ever in Bolton. 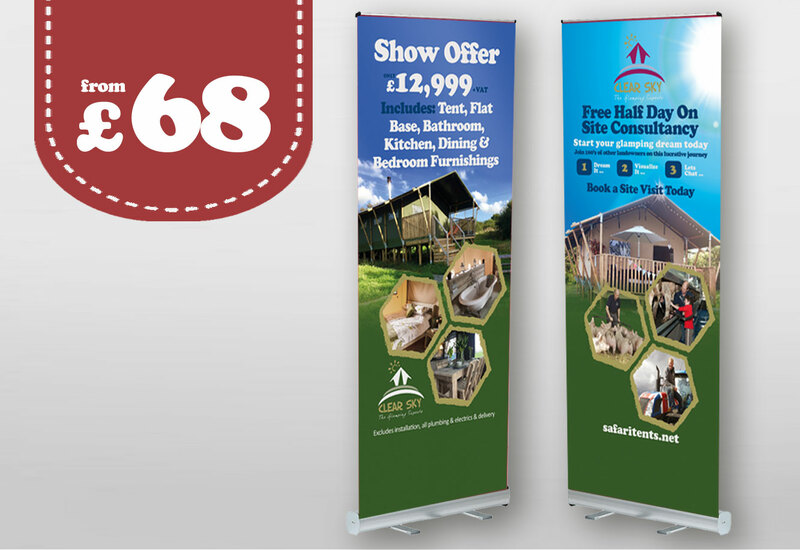 Our 610gsm PVC Standard or Premium Roller Banners offer excellent value for money. Using only the finest materials and inks, we ensure your print is picture perfect for businesses in Bolton. Gain maximum brand awareness and stay front of mind with our low-cost printed Pens. 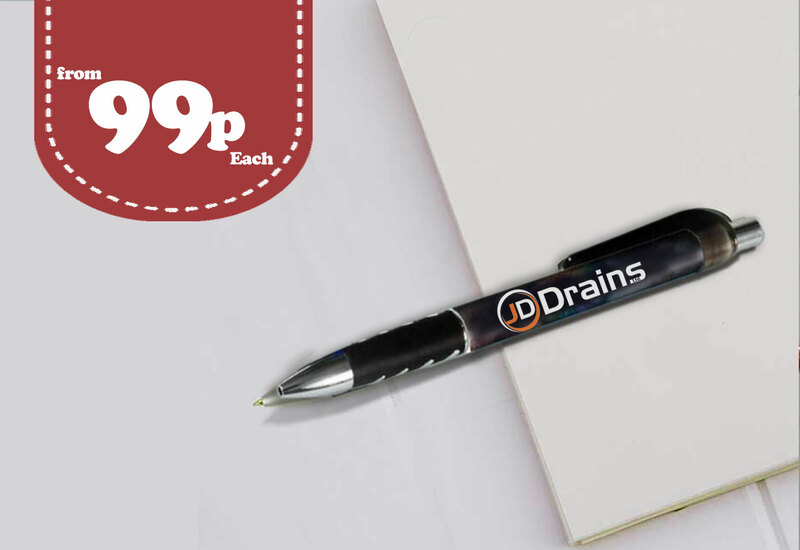 Simply add your company name and logo in Bolton to create Personalised Pens that will be used over and over! A Business Card is your ambassador and a well-crafted design will create an ever-lasting impression. We design great looking business cards for businesses in Bolton and a professional business card should be tangible and tantalizing and it won't be a long lost memory. Bespoke flyer designs in Bolton with a fresh and modern approach from concept to the finshed article. Whether it be for an event, promotion or just a tactful Guerrilla marketing campaign we have it covered for you. Leaflets are versatile and come in a number formats delivering ideal solutions for businesses in Bolton. Once you have chosen the shape, size & paper, we can get to work by designing a striking look with a loud message and a bold call to action. Put us to the test today. Brochures are big, bold and pack a real marketing punch for businesses in Bolton. You can treat a brochure like an off-line website detailing your business’ services or products. A brochure can be a significant marketing investment and we’ll work closely with you to ensure that you spend your marketing £ pound wisely. 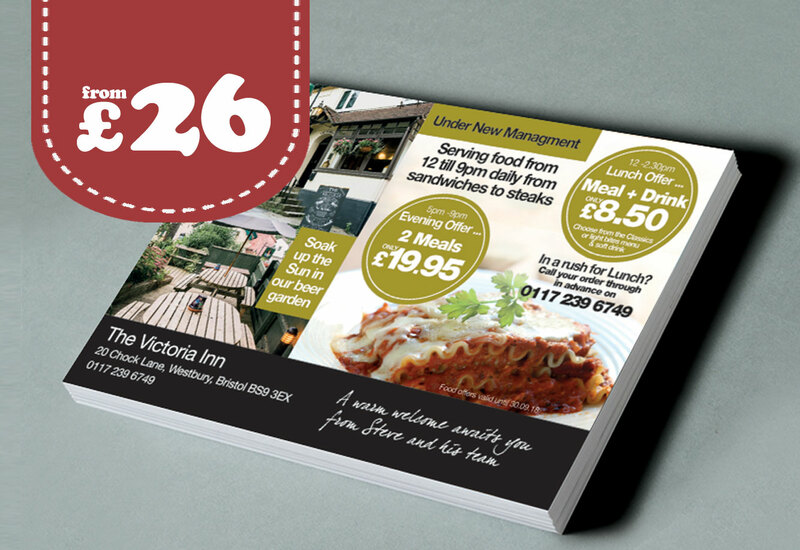 At Nectarine Print we create beautiful and engaging menus for restaurants, bars and cafes in and around Bolton. Designed either as a single sheet or a folded menu, a well crafted seasonal menu is engaging and can up-sale your guest’s choices. 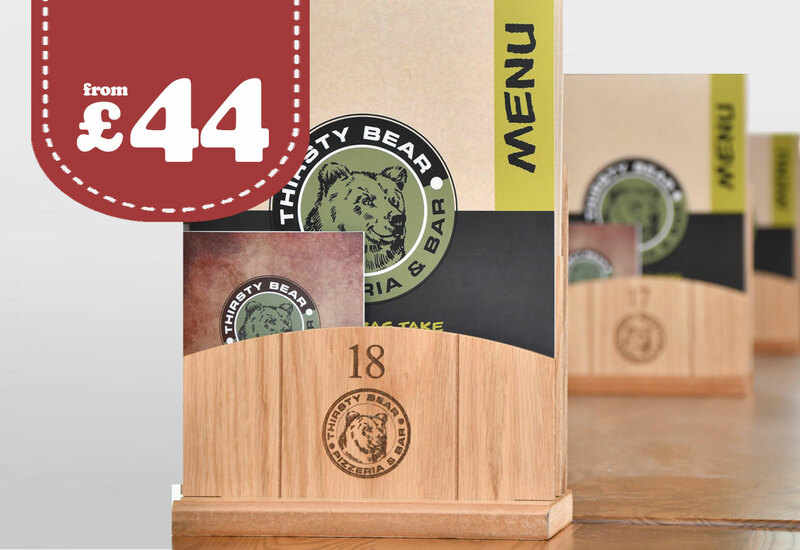 We have a wealth of experience in printing and designing menus for the hospitality industry. A BIG powerful message making your business stand-out for the competition is key when exhibiting at a show. We will work with you to ensure that your proposition creates a huge impact and your business is remembered after the exhibition. From roller banners to custom exhibition stands, we're here to assist Bolton businesses. Our talented team of website designers and developers work with our clients in and around Bolton to create fresh and innovative websites that are as intelligent and functional as they’re visually fascinating. We have one key-focus; Our websites must be result driven with a clear strategy in mind. The world-wide web constantly changes and always inspires us to grow into a brighter, updated version of ourselves. That means continually adding the latest technology to the backend of our website designs, like responsive web design that ensure our client’s customers can easily navigate their website on any device, from the desktop PC to the smartphone. We create 360° brand experiences custom-made for the digital era. Businesses in Bolton are bombarded with information including blogs, videos, emails, podcasts, and social media. 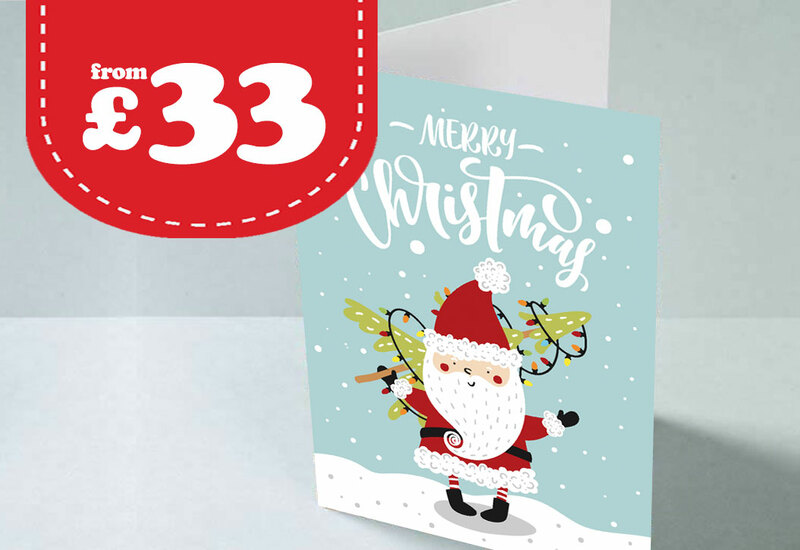 With so much advertising, it�s more important than ever to stand out from the crowd with Direct Mail printing. Call us today for a chat how we can help you with your marketing. Posters are a great addition to local promotional campaigns in Bolton as they can make a big impression and stick in your potential mind. Give your business the WOW factor by using a stunning presentation folder, available in DL, A5 and A4 sizes and printed on the finest 400gsm board, with a choice of matt, gloss and soft touch laminations. A great presentation solution for businesses in Bolton. 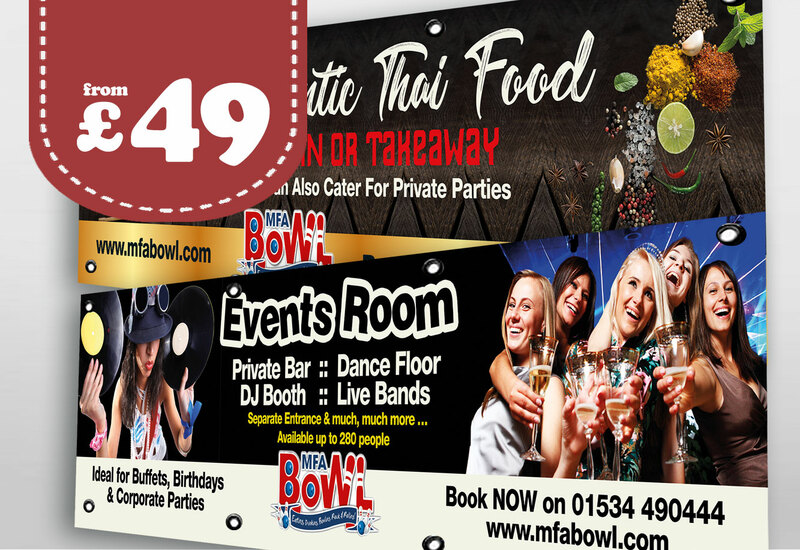 When it comes to promoting your business in Bolton and getting the message out and about with a leaflet for an event or special offer, our flyer and leaflet printing service in Bolton is the ideal marketing vehicle. Connect with customers and reach out to prospects – with high-quality printing and a range of finishes. Don’t be square, say goodbye to dog eared corners! Round off your look with these stylish business cards in either Matt, Gloss or Soft Silk finishes. These cards can be also be used for cost-effective membership cards. These business cards are Ideal for businesses in Bolton. As September slowly creeps upon us, it is a month where a lot of us return to work, university, college and school in Bolton. Have you stocked up on your Business Cards for the next quarter? 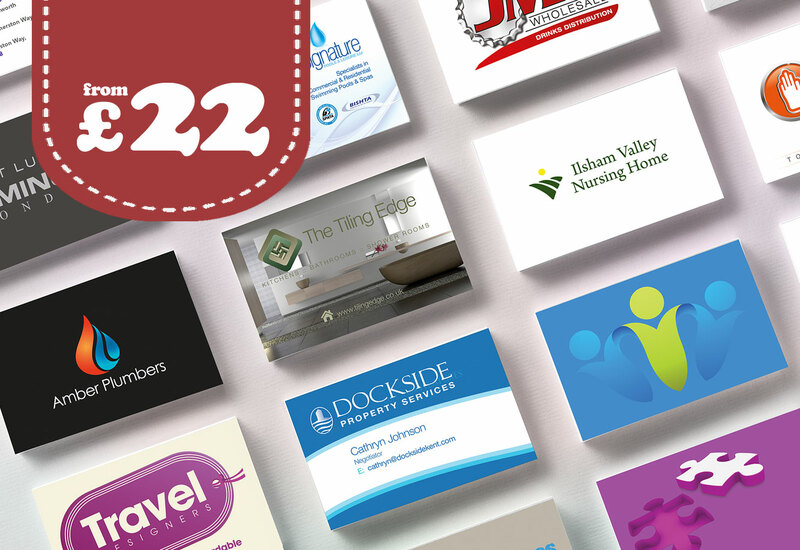 Business cards are the ideal tool for networking and meetings and creates that ever-lasting impression. We offer a number of styles and formats for professional services to SME and IND businesses. Take a peek at our business card range. 1. Print has a far lower “cost per impression” compared to online marketing campaigns such as Google Adwords or Facebook Ads. 2. Print is tangible and is in your hand making it memorable and tantalizing and it won't be a lost memory in 1000's of emails, social platforms and web pages. 3. Browsing the web or checking out a social platform is all very well, but a business card or a flyer on your desk or in a bag will keep a longer presence compared to a website impression. 4. Back up email marketing with Direct Mail. It is reported it takes three lines of communication to win a new client! To learn how Nectarine Print can help your next off-line marketing campaign, let chat. # Flyers Bolton, # Business Cards Bolton, # Leaflets Bolton. Nectarine Print Business Card printing Bolton starts from £19. 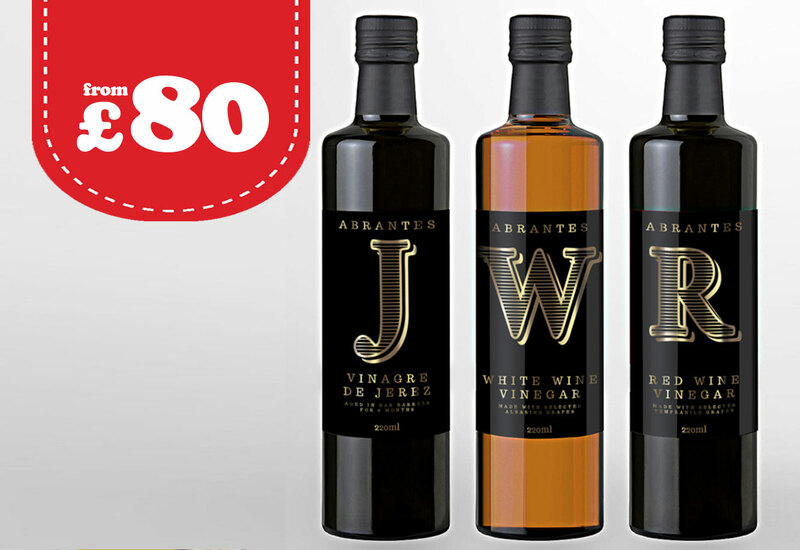 Add a shine to your business cards with our premium Spot UV range. Nectarine Print serving Bolton's business community with low-cost full colour print. Our product range spans from stationery printing to flyer and leaflet printing to brochure printing to exhibition printing. With our menu style pricing, it's never been easier to work within a set budget for your next marketing campaign. Leaflet printing Bolton. 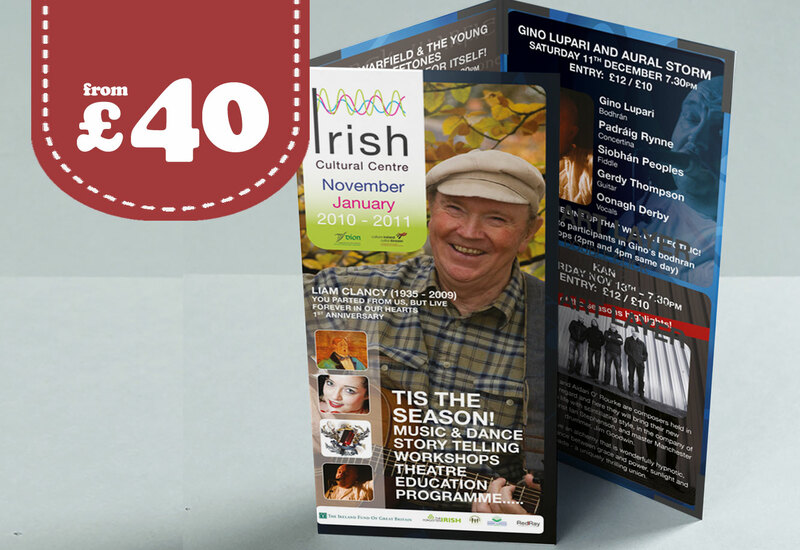 Leaflets are the most cost-effective printed marketing material. 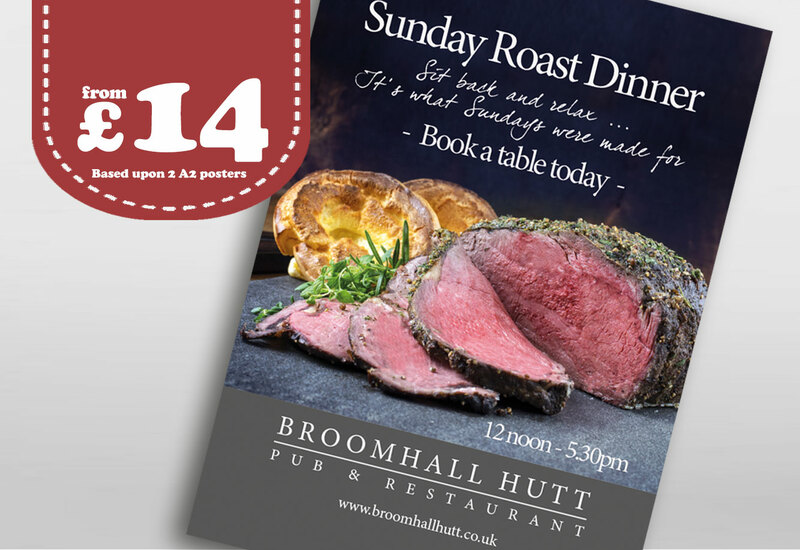 We print leaflets from A7 in size to A3 in full colour print on either 130 gloss art or 170gsm silk art paper. Choose either single leaf or multiple folded panel leaflets. We print Business Cards in 7 different variations in and around Bolton including; Matt and gloss laminated, rounded corners, spout UV printing just to name a few.